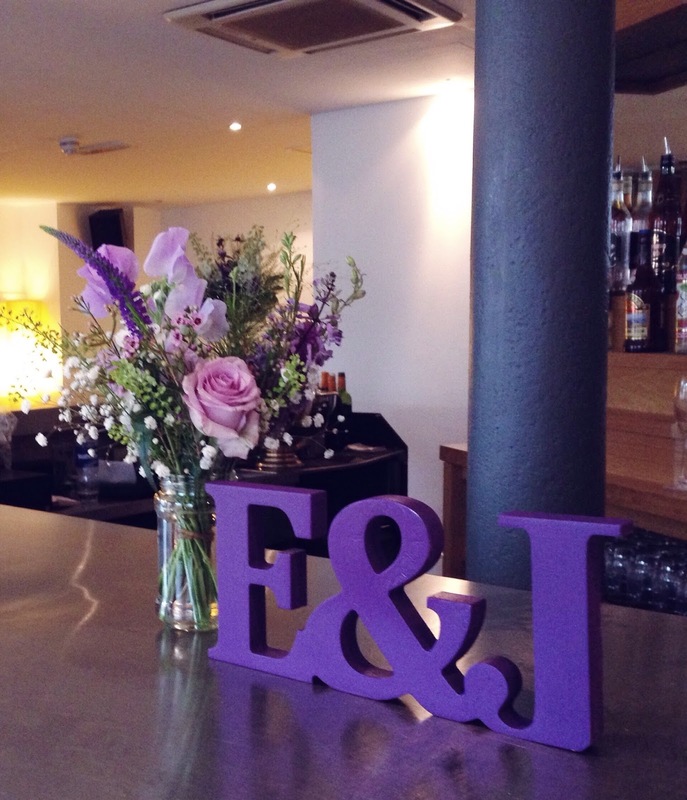 We shall start with Estelle and John's big day at The Hope Street Hotel on the 12th. 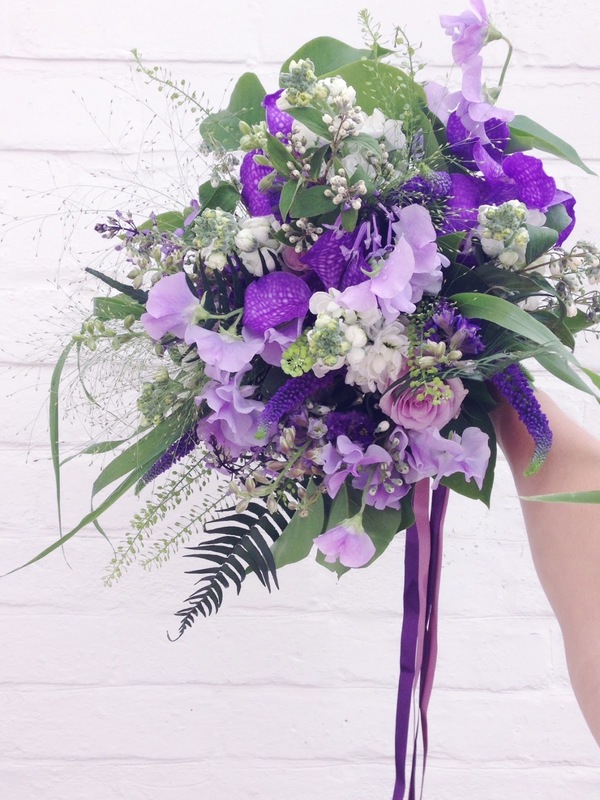 Having tied the knot in Thailand a few weeks before, the obvious choice for their wedding celebration flowers were striking purple Vanda orchids alongside palms and fountain grass, which were mixed with traditional English country garden flowers such as sweetpeas and stocks for their beautiful sweet scent. 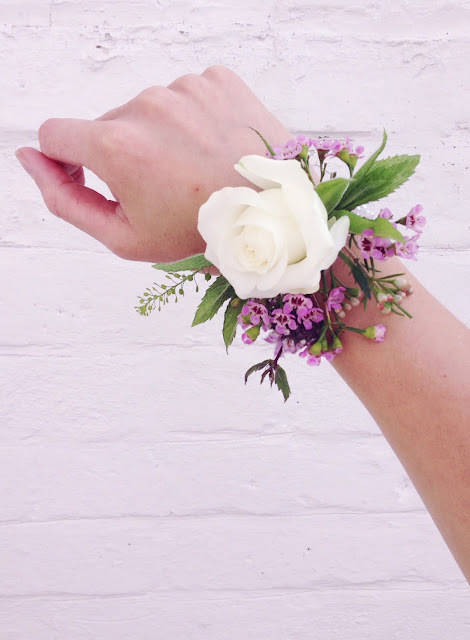 Lilac roses, lemon scented waxflower and homegrown mint made up the buttonholes and wrist corsages for loved ones, whilst lush green thlaspi and towering delphiniums and snapdragons made an impact in tall vases for Hope Street. Pretty little jam jars filled with lilac and white blooms were dotted around the room on the day to complement the bridal flowers and it was all set for the celebration! 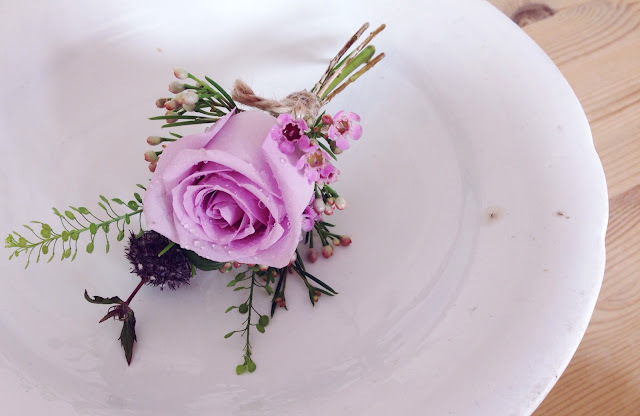 As usual, I can't wait to share the professional photos with you as my amateur snaps hardly do them justice but in the meantime I shall be posting Helen and Liam's lovely day at Oh Me Oh My... watch this space! 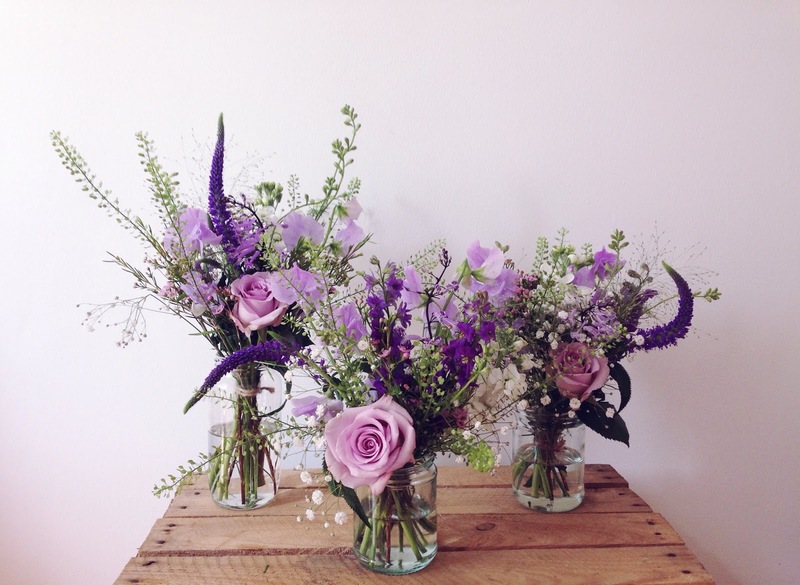 I am in love with these flower combinations and photos a lot. 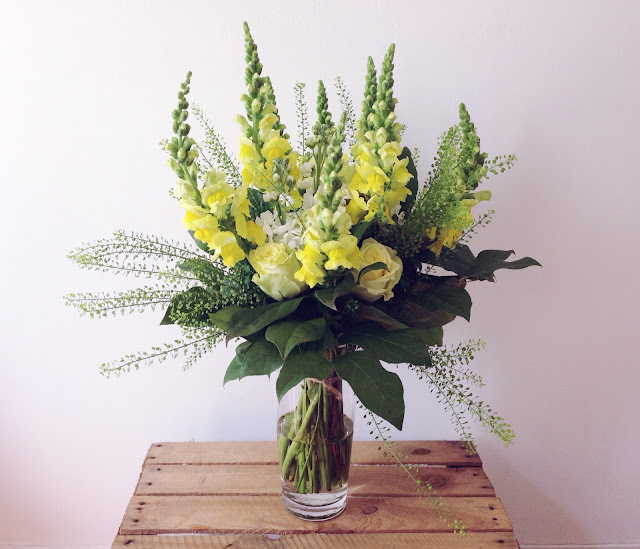 From online BloomThat Flower Delivery shop I too have been making plans to order my engagement flowers. 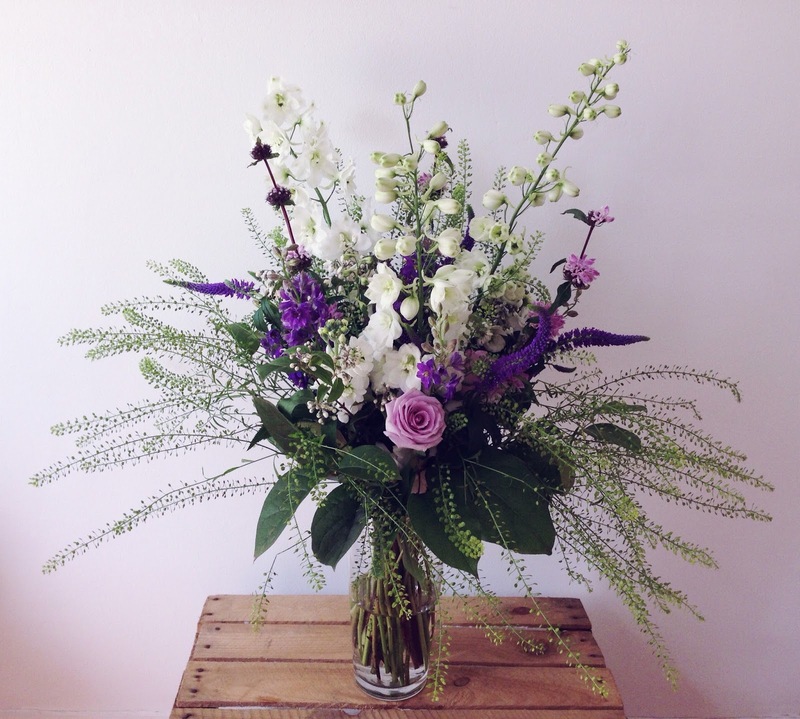 Have heard a lot of good things about their services and I hope they will send fresh flowers on time.